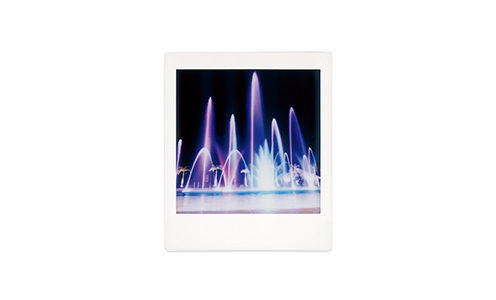 2017.10.23 instax SQUARE SQ10 new filter "PARTIAL COLOR" added! 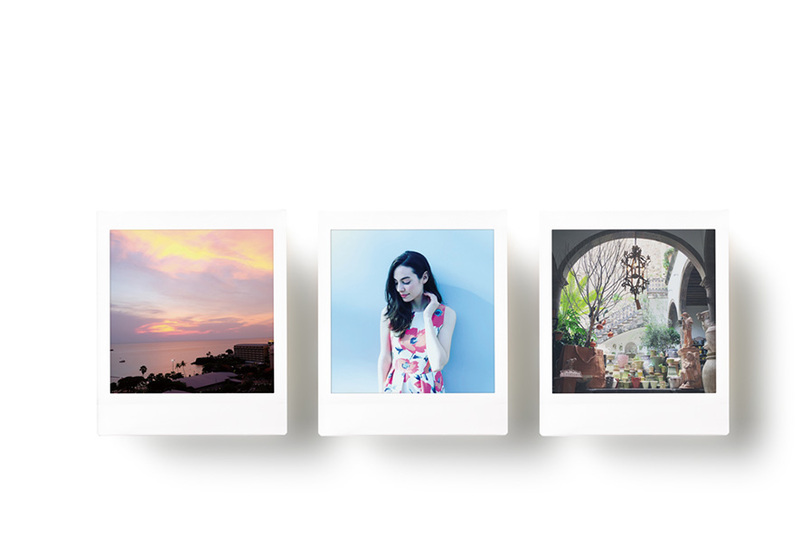 2017.10.23 instax SQUARE SQ 10 WHITE announced! 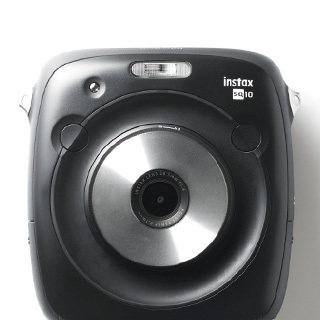 2017.04.19 Introducing instax SQUARE SQ10! composition. 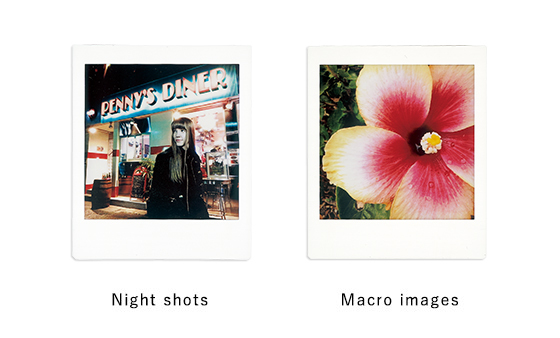 Enjoy a wider range of uses and forms of expression. 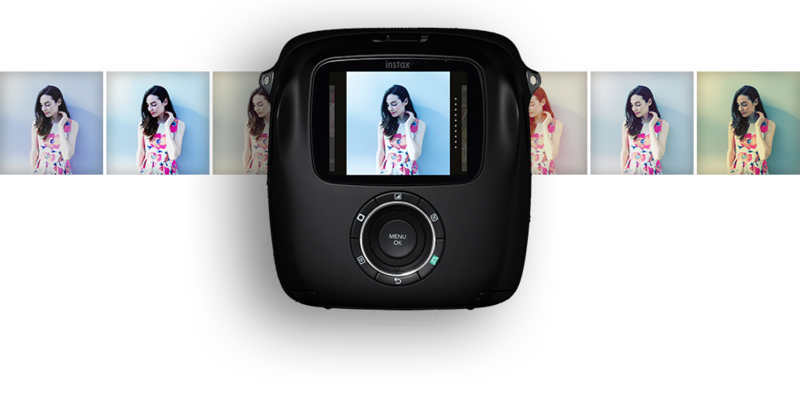 The first instax system with digital imaging technology. 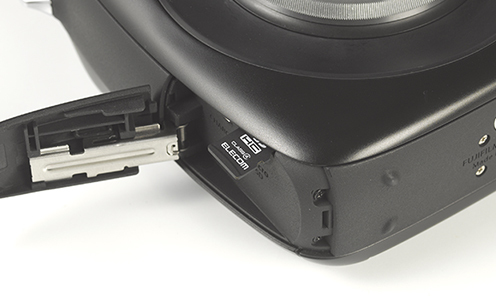 this system comes with filtering functions that provide a whole new creative experience. 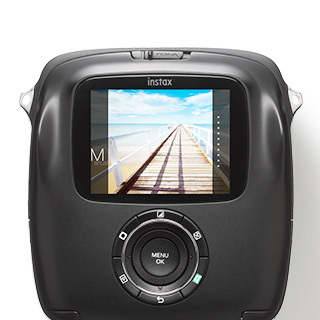 You can enjoy over 3,000 photography styles - just from three buttons and one dial! 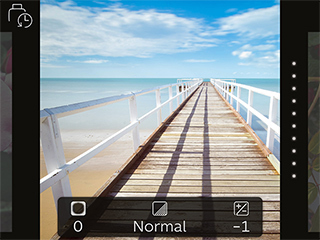 You can change the settings whenever you want - before or after you take the photo! 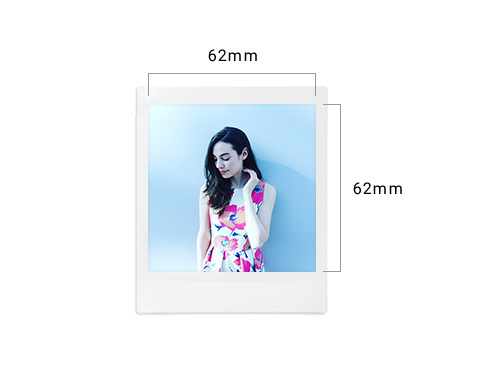 Print your favorite shots, as many times you like! 1. 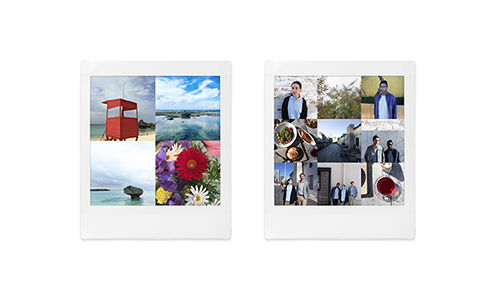 Select a photo from the thumbnails and print it. 3. Reprint the photo and share it with as many people as you like. 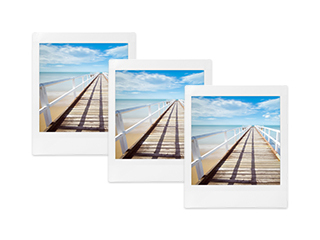 Photos you have printed before are saved in the Print History. 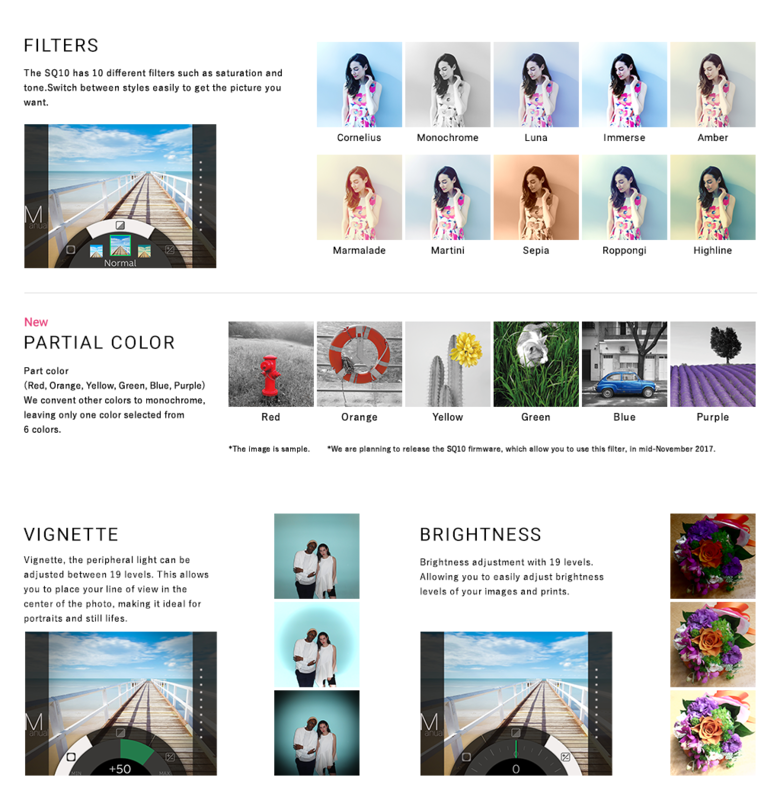 Reprints are done with the same filters and other processing settings that you applied the first time. 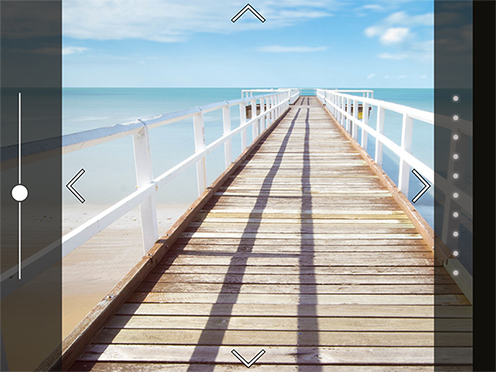 providing vivid photos in a wide range of scenes in your everyday life. the photography world has always known. 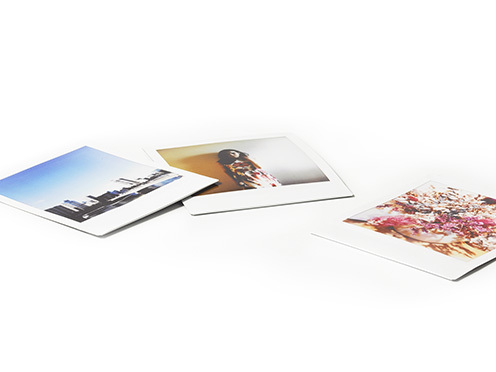 A wider range of styles are available to you! 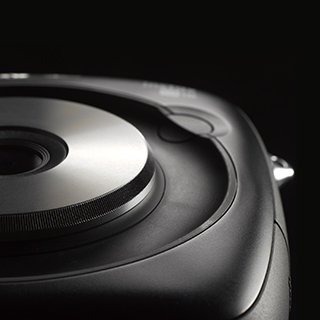 Get the most out of the SQ10 with these handy features! 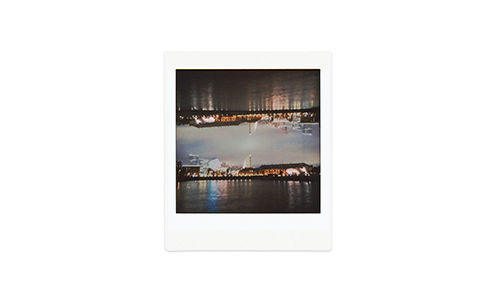 Combine two shots into a single print with double exposure mode. 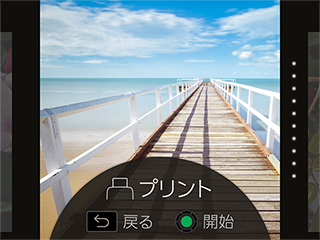 Bulb exposure mode allows the shutter to remain open for up to 10 seconds capturing long exposure shots. 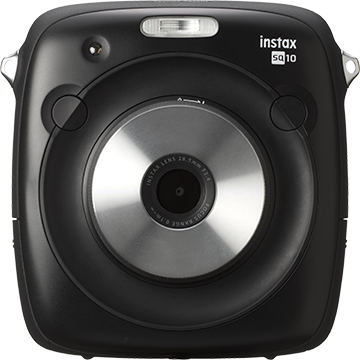 Insert a Micro SD card in the camera and save your photos to here. 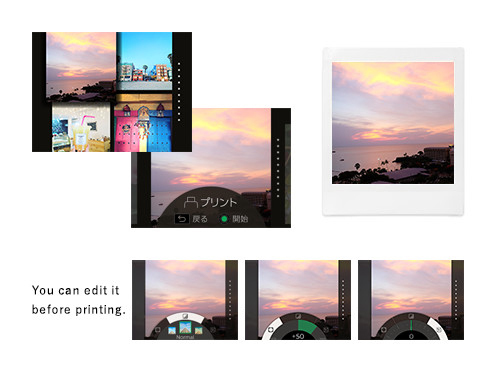 You can also insert a Micro SD card from another camera and print photos you took on that camera. 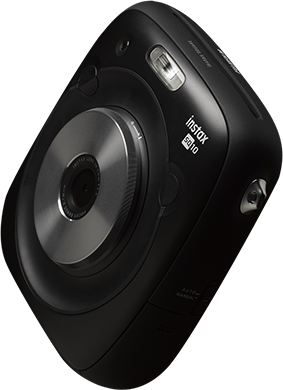 And the internal memory holds around 50 images without a Micro SD card. ACCESSORIES* Some accessories may not be available in all countries.